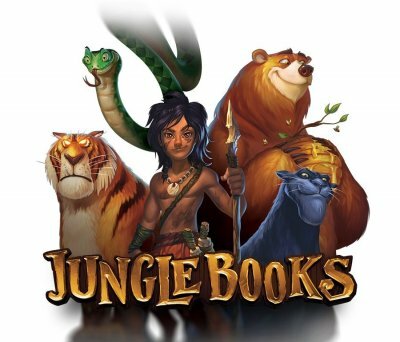 Yggdrasil Gaming has brought forth a brand new game and after months of hard work and long production hours the long awaited Jungle Books is finally out. Finally, there’s a reason to celebrate and no one's doing it harder than Dunder Casino. The celebrations commence on 22nd of September to in a £50 000 tournament, and the winner gets a fully paid trip in a stunning wildlife experience to Pench & Kanha National parks in India. This trip is worth £8000 so you can be assured that you’ll receive an all the pampering you can get. But it’s not the first player that gets all the good stuff, there’s a little bit of something for the next 499 players too. The top 5 receive cash prizes of £1000 onwards with the second, and third place win £6000 and £4000 while the 4th and 5th going home with £2500 and £1000. The rest of the players earn £800 from the sixth player all the way to £20 for the players in the 31st to 500th position. Participation in the promotion is fairly simple, all you need to do is bet real money, spin the reels and make at least one winning spin. The highest single win determines the player's position in the leaderboards. The game in question is Jungle Books, and it’s a blockbuster game inspired by Kipling’s book. It features a collection of well known characters from your childhood including Baloo and Kaa, so this is one of those games that you should definitely be playing. Jungle Books also has a pleasing surprise, and the Fusion Realms feature is perhaps one of the best things in the game. This gets the special features found in many online slots and completely transforms them into something truly special. The realm you’re in ensure you get a unique and special experience within the base game. Playing the games would also allow the players to use the BRAG feature. This is simply the capability of replaying your wins and even sharing them on major social platforms such as Facebook and Twitter. So not only will you win fabulous prizes, but you’ll also have the opportunity of watching these special moments and replaying your wins thanks to the BRAG Replay&Share feature. Ensure you opt into the promotion as fast as you can and work your way up the ladder. If you’re yet to open an account, then there’s good news for you. Dunder Casino have a fantastic welcome package in addition to this stunning tournament. This is one of those few casinos that offer no deposit spins to their customers. Creating an account gives you a cool 20 free no deposit spins, so you can get to enjoy the platform without risking your hard-earned money. However, these spins are only playable in Starburst. Making your first deposit makes things a little more interesting. Your deposit will be tripled up to £50, and you’ll additionally get 180 free spins in Starburst. That is, 20 free spins everyday for nine days. A second deposit attracts a 50% extra up to £150 and a third one gives you a 25% bonus of upto £400. So depositing £1600 earns you a cool £2000 to play for.